Fired, chef who posted fake TripAdvisor reviews of rival restaurantsChris Gamack was sacked from The Amen Continental Cafe, in County Durham, after he was exposed on Facebook as posting false entries on the popular travel review website. However, fake reviews are not restricted to restaurants and hotels. The Department for Work and Pensions has been caught creating fake reviews of the benefits system. 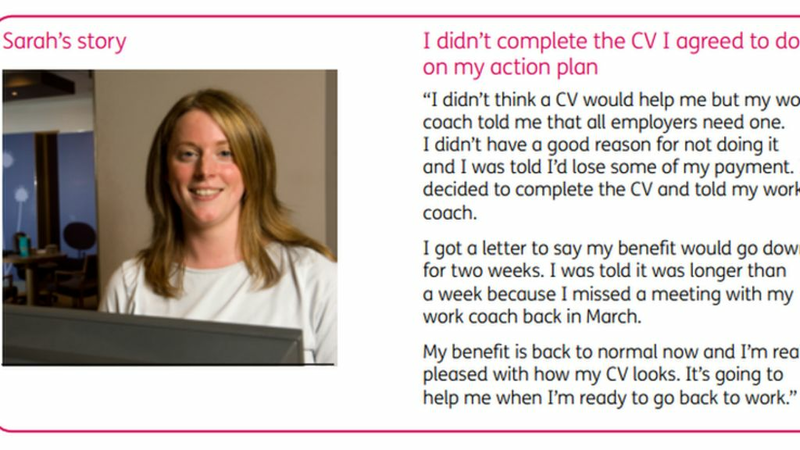 Sarah effuses about how a 2 week cut in her benefits was just what she needed to help her get her CV up to date, and she’s really pleased with how her CV looks! And unlike many real life benefits claimants, Zak didn’t have his benefits stopped when he had to go in to hospital. Yay! So, when the truth hurts too much, just make up a new reality and publish it for everyone to see. Mwhahaha.